Once you set up our SkyBOX Checkout service, we will provide all the technical support needed to setup your site. We offer plugins for the most popular ecommerce platforms like Magento, Open Cart and Shopify and also work with many additional custom platforms. 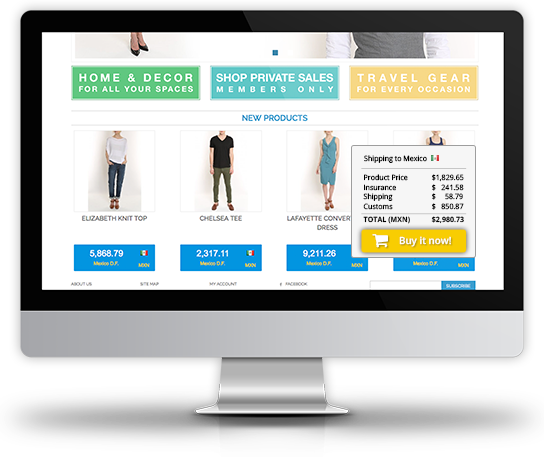 Our plugins and shopping cart are fully customizable and can have the exact same look and feel of your website maintaining your brand and look and feel of your website throughout the shopping experience for your international customers. We also we offer an advanced restful Web services API that allows your platform to access and use all our services directly. 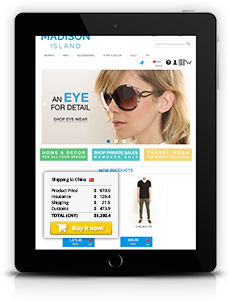 International customers that visit your website will immediately have the best international shopping experience possible. We identify your customer’s country and city by their IP address and present the products with the fully landed price (all costs to deliver the purchase to the customer's door) in both USD and their local currency. Other platforms only show shipping and customs costs at checkout, thus, creating a “Return to Shopping” experience that is frustrating for the customer and results in abandoned carts. SkyBOX Checkout gives full transparency to the international customer throughout the shopping experience from home page to order confirmation. Our international checkout process is optimized for processing international orders. We support payment in local currencies in 140+ types of currencies through a variety of payment methods like Paypal, Bank Transfer, Western Union, and Credit Cards. In cart details of international costs, duties and taxes, and international address are autocompleted and a simple one page payment form helps provide customers a fast, secure and familiar checkout experience. We are constantly expanding our offering of payment methods to incorporate the most popular local payment methods in every region around the world. 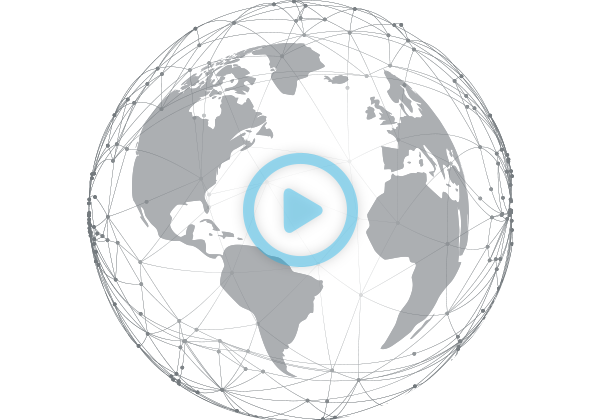 Our international fraud detection analysis platform screens all orders. Once accepted by us, all orders are 100% guaranteed to you and your customer! Order Notification: Once the international order is approved by our fraud screening team you’ll receive automatic email communications confirming the order or can access this information via our order fulfillment portal. You prepare this order for shipment to one of SkyBOX’s hubs attaching the order label and shipping your packages to one of our fulfillment centers in Los Angeles, New York or Miami. Documentation: Once we receive your packages at our hub we’ll prepare all the required documentation and all other aspects of international order fulfillment in order to expedite shipping and customs processing to the international customer. International Shipping: Using our proprietary global courier network we will provide detailed tracking from reception to proof of delivery at the customer home or office. Our Multilingual agents will provide your customers with all the information and support needed to complete purchase and receive their orders. Our advanced international return policy configuration feeds our specialized modules and workflows to coordinate returns. We have specialized in international return services over the last few years and consider this to be one of the strongest aspects of our service platform.